Here's one that really got away: the 1963 Chevrolet Corvette Grand Sport. If you're a believer in the multiverse, then there exists a world where General Motors didn't foolishly prohibit factory support of motorsports during the go-go Sixties, Corvette daddy Zora Arkus-Duntov wasn't forced to stop his secretive study in lightweight speed, and the Grand Sport's on-track dominance heralded a new era that made both the Corvette and Chevrolet household names for racing fans. 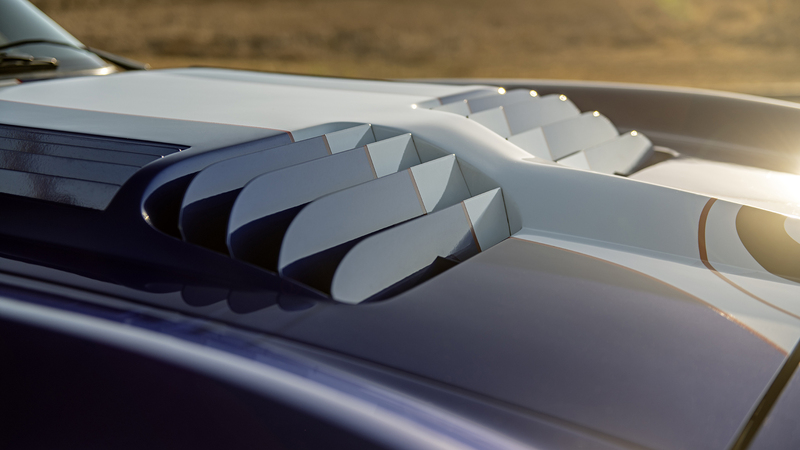 We bet that universe has a mid-engined version already. Unfortunately, our reality is a little different. General Motors did impose an official corporate ban on supporting racing until the 1970s as it sought to avoid attracting attention from the feds. The 1963 Corvette Grand Sport project, designed to go toe-to-toe with Ford's Shelby Cobra on the track, was killed off after just five examples had been built when the suits caught wind of Arkus-Duntov's antics. And though the Corvette still raced on some pretty big stages without GM's official blessing, the company sat on the sidelines as Ford and Ferrari slugged it out like gladiators at the 24 Hours of Le Mans later that decade. Oh, what could have been. Those original Grand Sports were outright monsters; raw, skeletal beasts that mixed 550 horsepower, a rigid tube frame, and an 1,800-pound curb weight to wondrous effect. 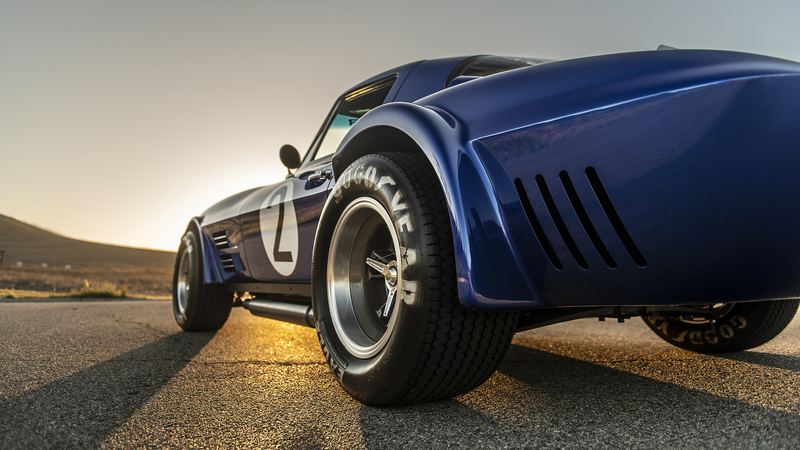 Carroll Shelby himself once admitted that his Cobras would be viewed with a little less reverence had the Grand Sport been allowed to live, a nagging thought made manifest the few times those would-be arch-rivals lined up on a grid together. The Grand Sport simply ruled. 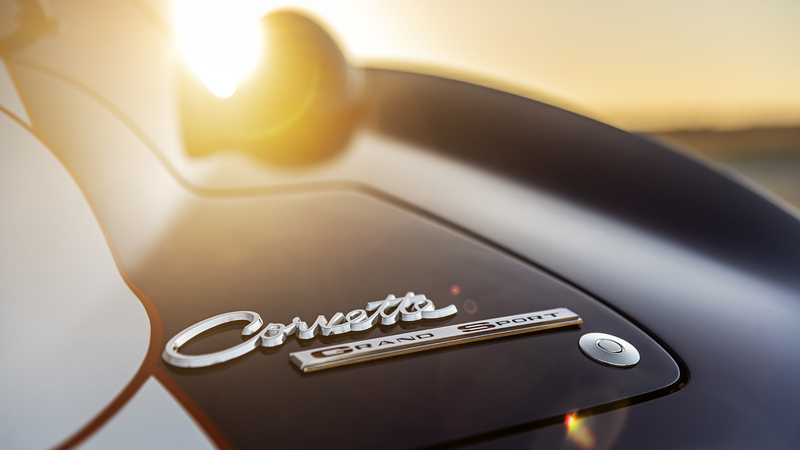 It was a brief flash so brilliant, it's still burned into the brains of Corvette diehards generations later. There's a reason the five surviving cars are held tightly in private hands, rarely seeing a driveway, let alone a racetrack. They're worth millions. You'll never drive one. Unless you give Lance Stander a call, like we did. Stander is the man behind Superformance, the outfit that's made a name selling precise replicas of vintage Shelby Cobras, Daytona Coupes, and Le Mans-winning Ford GT40s. The gregarious South African is quick to profess his deep love for classic American muscle, and it was only a matter of time before he gave the Corvette Grand Sport the resurrection it deserved. 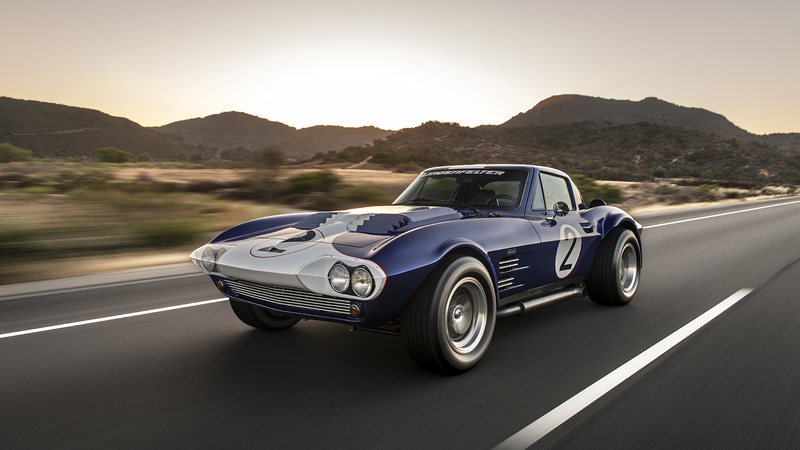 His company is now cranking out continuation models of the car; it just took about a decade of legal wrangling with General Motors, obtaining the original molds and design documents for the car, and finding an authentic Grand Sport body to use as a baseline. Easy-peasy. Having not done any of the work ourselves, we have to say it was all worth it. There's a reason Superformance is the only company in the world besides Chevrolet that's allowed to sell a car with the real Corvette logo—the flawless body really is that true to the original Grand Sports, down to the leather straps on the hood, the gargantuan side pipes, the drilled-out body (with holes for lightness), and the trunk-mounted rear differential cooler. The faithful interior follows through on the illusion, save for the addition of air conditioning and power windows. Radio? You don't need one. That's because buyers can get their choice of modern mills under the hood, turning the GM Performance Parts catalog into a Choose-Your-Own-Adventure of the best kind. 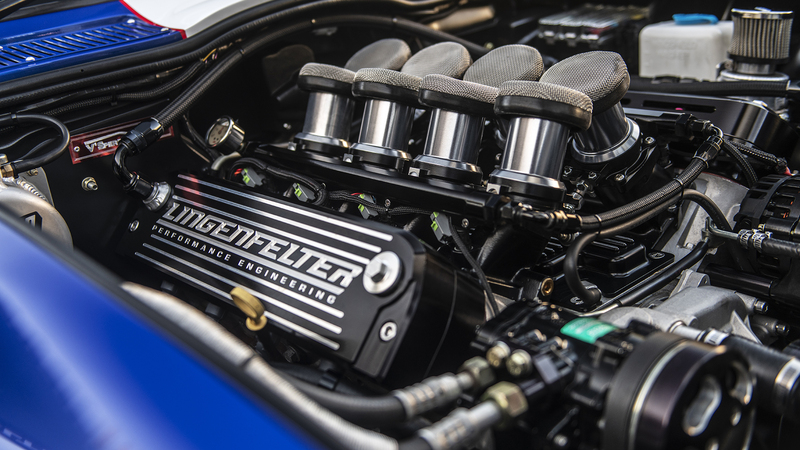 Want to source a period-correct 377-cubic-inch small-block? A modern LT4? How about a supercharged LS? Go for it. The rolling chassis are shipped over from the Superformance factory in South Africa, while the go-fast bits are installed at its American retailer, Hillbank Motor Corporation, in Irvine, California. 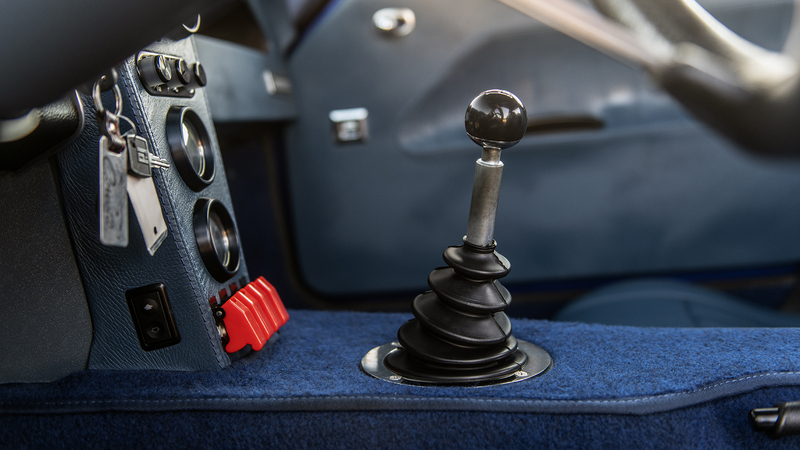 That custom process also allows for any gearbox from a vintage four-speed manual to a modern eight-speed automatic transmission. (Please don't do that.) Thankfully, my ride rocked a 6.2-liter LS3 V-8 tuned by Lingenfelter, topped with a beautiful Borla eight-stack, and connected to a burly Tremec T-56 Magnum six-speed manual gearbox. 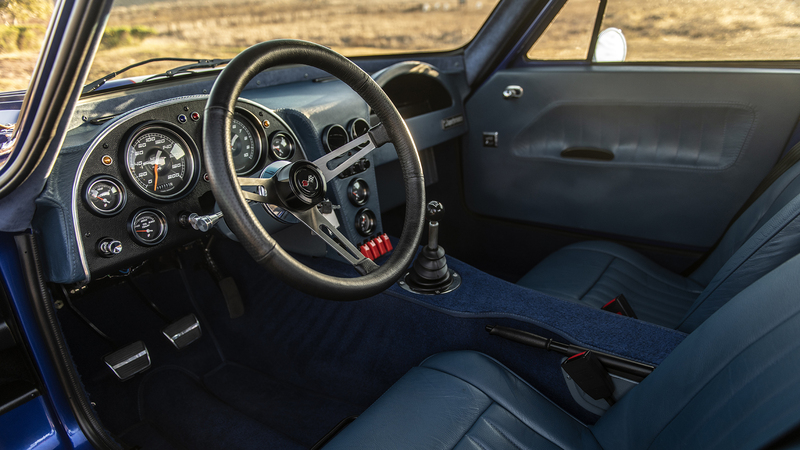 Modern brakes, Bilstein shocks, and extra sound insulation round out the upgrades, which altogether push the car up to around 2,800 pounds. It's not quite "The Lightweight," but close enough. Sports cars from the '60s aren't like today's breed. They're loose, a bit floppy—and alive. The Superformance Grand Sport maintains that forceful vitality, requiring an active hand through fast corners as pavement imperfections come charging through the hydraulic steering. (The sticky Nitto tires seem to offer too much grip, highlighting the old chassis's...oldness). The modern engine sounds like a B-17 bombing run through those side pipes; it'll set off a parked car's alarm under normal acceleration. It pulls hard from a stop through all six gears; a total lack of traction control means you best be present the entire time. The sensory overload ensures you will be. Details that aren't like a 1963 car: It starts every time, idles reliably, and stops with a welcome decisiveness. The power windows I could do without; the air conditioning I could not. Assuming you don't need to hold a conversation with your passenger, you could easily road trip in the Grand Sport, thanks to its deep, carpeted trunk. None of these things ruin the fleeting illusion of driving something from 50-odd years ago. As you might expect, the price is very un-retro as well: The rolling chassis starts at $114,900, and all the various options on this particular car pushed its final price north of $175,000. It's a lot of money for a replica—you could buy a mint 1963 Corvette with that kind of cash, which some people would likely rather have—but using the r-word here is like saying Le Mans is just a village in France. 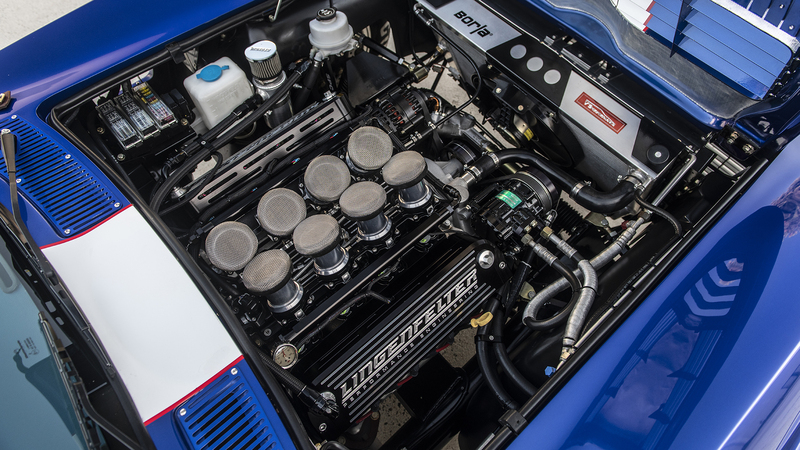 The Superformance Grand Sport is a time machine, plain and simple.